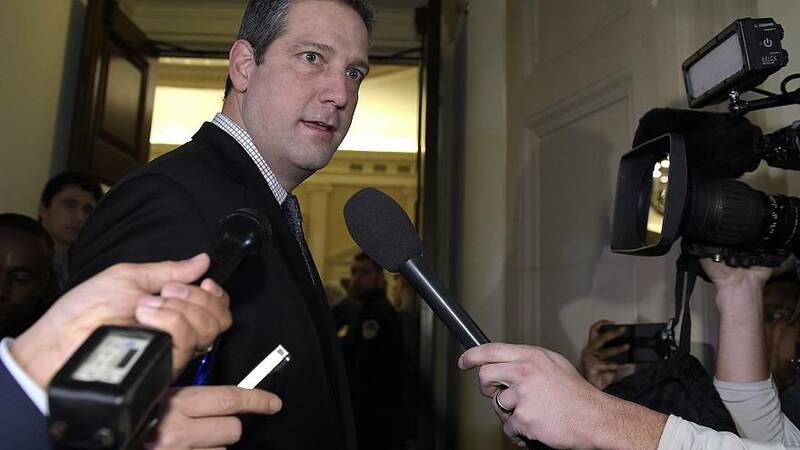 Rep. Tim Ryan, D-Ohio, announced on Thursday that he is running for president — the newest name in a still-growing 2020 field of Democratic candidates that boasts more than a baker's dozen. Ryan, who made the announcement on the web as he was appearing on ABC's daytime talk show "The View," will hold an official campaign kickoff rally with local union leaders in Youngstown, Ohio, on Saturday afternoon, his campaign said — a celebration of his longstanding ties with the working class community and an indication of the kind of labor-friendly campaign he plans to wage. Ryan has made several trips to the early voting states of New Hampshire and Iowa already, but he will launch his official campaign trail tour in the Hawkeye State on Sunday. While his economic message from the heartland might resonate in early voting states like Iowa and New Hampshire, Ryan is also playing catch-up to some of the bigger-name candidates in the field, both in terms of money and name recognition. Still, Ryan might be a known entity to some followers of Democratic politics. He was rocketed to national attention after serving multiple terms in Congress when he challenged House Minority Leader Nancy Pelosi, D-Calif., for the top Democratic leadership spot after the 2016 election. While he was unsuccessful in that bid, the Ohio representative has become a cable news fixture, pressing a progressive, worker-friendly message on the airwaves. When General Motors announced last year that it planned to close a plant in Lordstown, Ohio as part of a broader restructuring — resulting in the loss of hundreds of jobs in Ryan's home district — it placed President Donald Trump's promises to working-class Ohioans in the crosshairs. Ryan, along with other prominent Democrats like Sen. Sherrod Brown, blasted the auto maker's "devastating" decision and excoriated Trump as "asleep at the switch" in a community he promised would be coming back under his presidency. Trump notably won Ohio in 2016 by eight points and also did well in the Youngstown-area of the state, but Ryan won his re-election handily that same year.